Looking for a new style to add into your regimen? Consider using a curling wand. A curling wand is like a curling iron without the clamp. You simply wrap a section of hair around the rod, let it sit for a few seconds, and release. Wand curls are a great way to switch it up. With the weather cooling down, your heat styles have longer wear. You can wear your curls down or in an updo. Take advantage of the cold weather and experiment, but make sure you take these precautions to reduce the likelihood of damage. First, wash and condition your hair. For weightless curls, it is best to start on freshly washed hair. Dirt and product buildup can cause the hair to be weighed down and cause a burnt odor when using heat styling tools. After using a shampoo and conditioner, apply a heat protectant to create a protective thermal barrier around your strands, and blow-dry or straighten. When the curling wand is at your desired heat setting or temperature, wrap a small section of your hair on the wand. 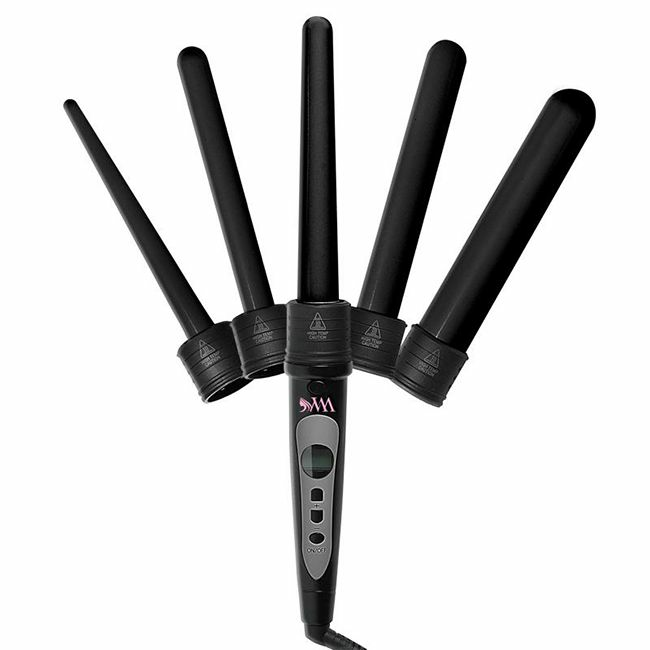 Leave your hair on the wand for 5-10 seconds, depending on how tight you would like your curl to be. You do not need to leave your hair on the curling wand for long. This can cause mild to severe heat damage. Once you receive your desired curl, you can proceed to the next section. Why should I use gloves? Heat resistant gloves will prevent you from burning your fingers. Some prefer to not use the gloves, because they may have better control of the hair without them. Whether if you choose to use gloves or not, be careful when using a curling wand. For maintenance, you can pineapple your hair and apply a satin scarf. You can also pin your curls, using bobby pins to hold them in place. A satin bonnet can also be used to prevent frizz and assist with long lasting curls. Raven Elyse shows how she straightens her natural hair and creates waves for her stylish bob. CharyJay shows how she blow-drys and creates bouncy wand curls on her color treated hair. NaturalNeiicy creates bouncy and voluminous wand curls on her natural hair. India from MyNaturalSistas shows how she creates and maintains her shiny wand curls. Looking for a new way to style those curls? Follow us on Instagram for inspiration.